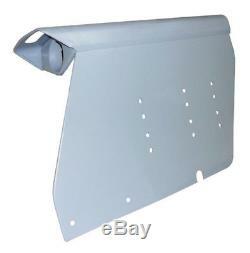 Two (2) New Aftermarket Replacement Massey Ferguson Fenders (Left & Right Side) that fits Tractor models: 235, 245, 255, 265, 275. This is for the one headlight fender style. 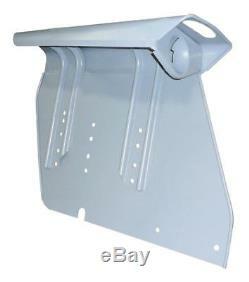 We also have several other Fenders for Massey Ferguson Tractors available in separate listings. 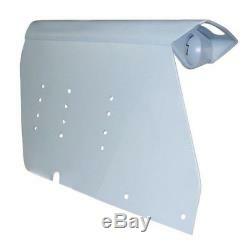 Replaces Part Number: 530966M92-7M93RHLHSET (which consists of 1 RH Fender # 530966M92, & 1 LH Fender # 530967M93). 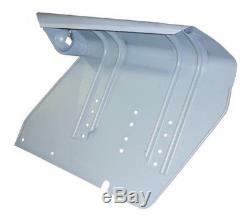 The item "2 Tractor Fenders Made to Fit Massey Ferguson 235 245 255 275 L & R" is in sale since Wednesday, August 3, 2011. This item is in the category "Business & Industrial\Heavy Equipment, Parts & Attachments\Heavy Equipment Parts & Accessories\Tractor Parts". The seller is "reliableaftermarketpartsinc" and is located in Williamston, Michigan. This item can be shipped worldwide.